Hi friends! I'm busy moving and unpacking my new home over the next few weeks! I've lined up some great guest posts for you to enjoy while I'm gone, along with some posts I wrote in advance. We're getting today started with a guest post from one of my very best friends, Lauren, who is a fifth grade math teacher in my district and she's sharing some tips and tricks for organizing a departmentalized classroom. Fun fact, Lauren and I went to college together and she was the maid of honor at my wedding. :) I hope that you make her feel at home and visit her blog soon! Hello! I am excited to be able to share a few of my new favorite teacher resources with you here at Fourth and Ten! As a fifth grade math teacher in a departmentalized setting, I teach three blocks of students throughout the day, which usually adds up to around eighty-five students. Learning names at the beginning of the year can make my head swim, not to mention the PAPERWORK that comes with managing those kiddos! One major way to alleviate some stress of paperwork is to lean on student responsibility procedures. This can be started in the early grades with turning in paperwork to specific bins, etc. My former third graders were the perfect age to start taking on more responsibility with classroom organization! Now teaching fifth graders, I have my students take responsibility for turning in their paperwork to specific bins labeled and colored for their “block,” or class. They also have student numbers which they write next to their names on each of their assignments. 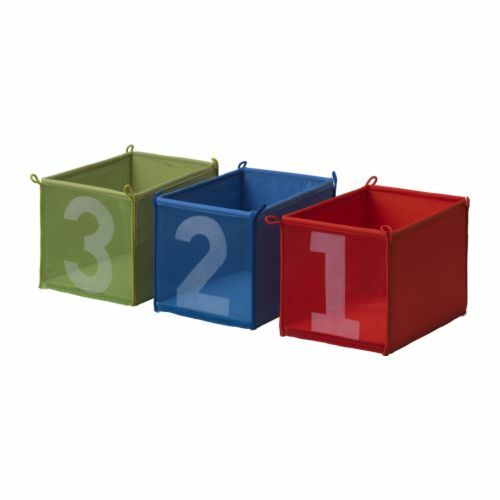 I still swear by the multi-colored bins from the dollar section of the Target entrance, but I noticed that I used them for multiple things around the classroom. I needed a specific, unique set of bins. This year I found something even cuter than my Target bins! These bins are perfect for my three block classes, and I will be using them this year for students to turn in assignments. After an assignment is turned in, I organize the stack of papers in numerical order by student number, for easy grading. These cute wire pop-up baskets will come in handy for our ongoing projects and self-made math manipulatives that we are constantly creating in class! It is such a pain for students to be searching through three classes of baggies or envelopes for their own names! These will prove to make a former long search quick and painless! This set of hanging baskets looks great on the wall of our classroom! I plan to use it for returned papers that need to be filed into our mailbox system. This will make it easier for me or a helper to pull a specific student group of papers and return them quickly to their owner! 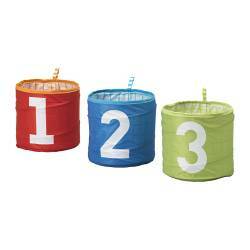 It would also be a great option for light manipulative storage. 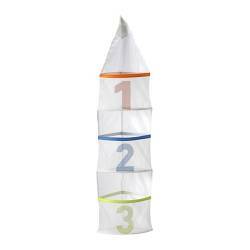 I loved these options from the children’s section of IKEA here in Cincinnati, but there are many other options for affordable storage in your classroom (cardboard boxes and cute duct tape, anyone?). TeacherVision, Inspiring Teachers, and The Clutter-FreeClassroom all have some inspiring tips for organizing your classroom and yourself for the school year. …And what about your personal life? Check out one of my favorite websites: Simple Organized Living. Amazing! I hope you will have time to check out my little blog over at TastesLikePaste. I have links to some fun resources I have created for the classroom! Best Wishes for an Enjoyable School Year! Are Post-it? notes, business cards, and bulletin block blowzy beyond your desk, blimp in pockets, and awash into drawers? Do you accept a ailing Rolodex? Are your competitors advertisement your absent opportunities? Do you frequently affiance yourself "Someday I'm activity to adapt database backup this mess!" - but the day never comes?